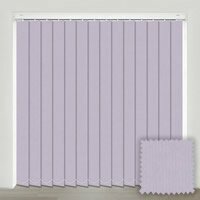 From soothing pastels to rich warm tones, our luxurious collection of lilac blackout vertical blinds offers the perfect way to inject a touch of this beautiful colour into your homes décor. 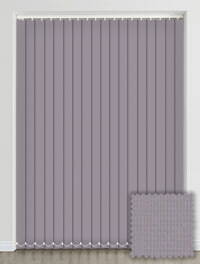 They are also thermally efficient and great at blacking out the light, so their super practical too. Great goods and lovely people - what more can one ask? The service was excellent. I was a bit hesitant to order from Australia, but the staff communicated well, I loved getting samples, staff understood my requirement and were great. The blinds were exactly what I ordered, and I love them. Many thanks. 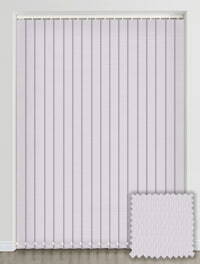 I have been looking for two white blinds for some time and requested sample of 'Sara'. This was exactly what I wanted and ordered both, perfect! I love the blinds, they arrived very promptly and fit perfectly. 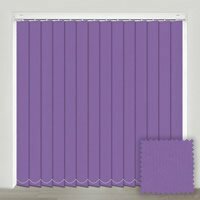 I have nothing but praise for English Blinds, I made a very stupid mistake when I measured for my waterproof bathroom blind and was very embarrassed about it. However English Blinds made things very simple regarding the return of my blind, and got it back to me (at the correct size!) very swiftly and in a very cheerful and positive manner.